My love for capes started about a year ago when I came across this picture of Blair Waldorf from Gossip Girl. I don't watch the show but love to see the outfits online. Ever since, I have been on the lookout for the perfect cape, one that is my style and affordable. Fast forward a year and I have given up the hunt and decided to make my own. 1. Measure the length you want your cape by measuring from your shoulders to where you hope your cape to stop. I chose my waist. Double this length and measure it out on your fleece. 2. Measure from the same point to different points making a circle. 3. After cutting out your circle, fold in half and cut up the center. 4. 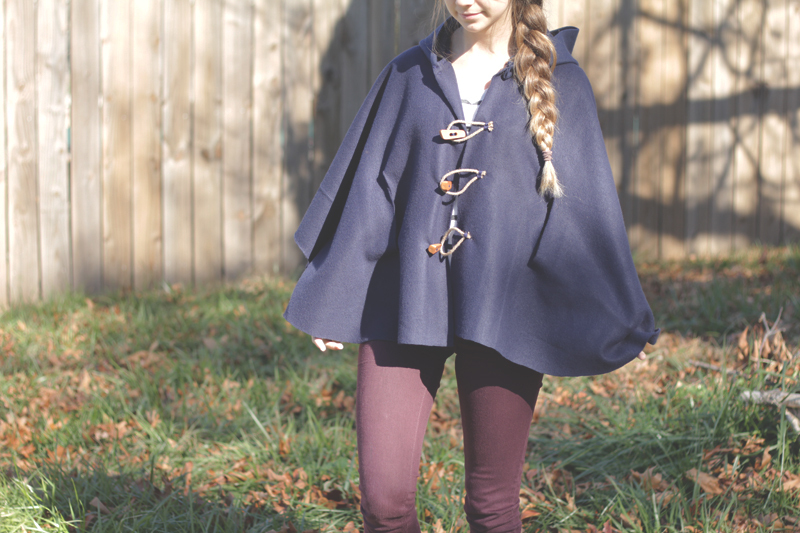 Try it on and see if the cape is full enough, if not repeat steps 1-3 and sew together (this is what I had to do.) 5. Try on and measure where you desire your hands to come out, mark and cut a straight line. 6. Measure where you want your buttons to go and add loops with your rope securing them with thread. 7. 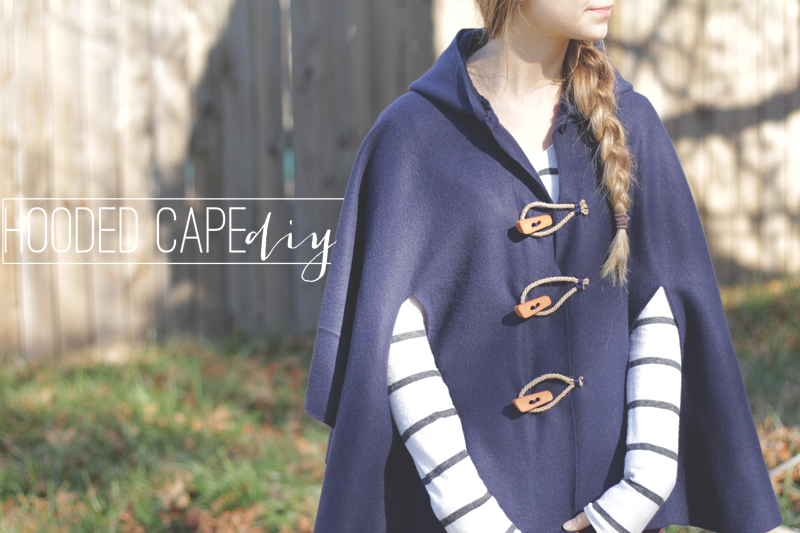 Add buttons on other side of cape slit. 8. For the hood: Lay out a sweatshirt with a hood and trace on fleece twice. 9. Cut and sew together, turn inside out 10. 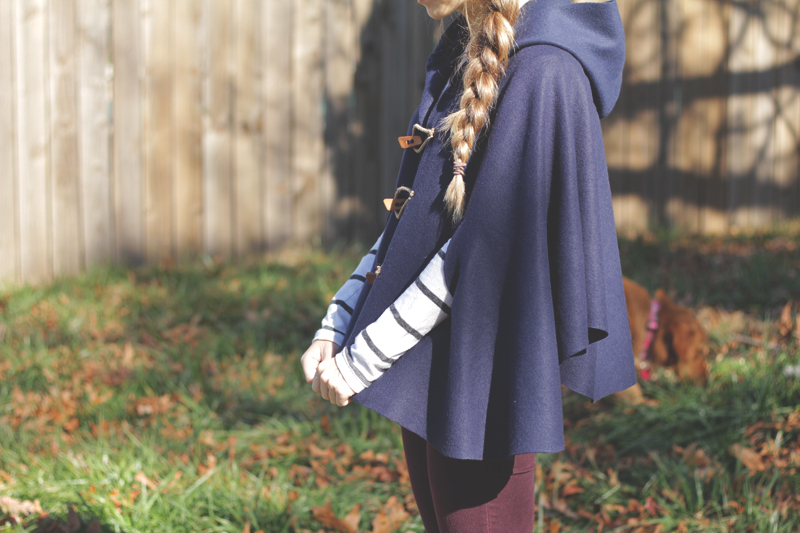 Attach hood to cape by sewing it on. *Thanks to my best friend Jourdan for snapping these pics! This has been one of my favorite projects I've done and I can't wait to wear it around a cozy campfire with my handwarmers in hand. 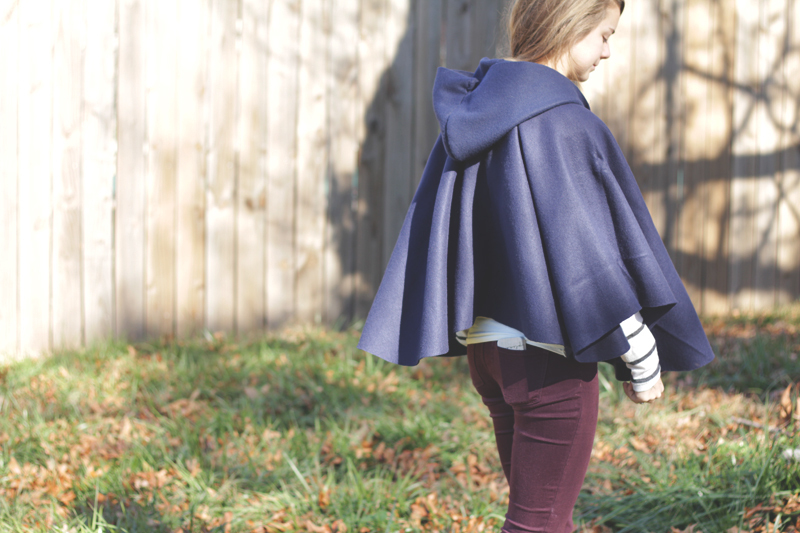 I am pleased with the turn out and I think I may add a contrasting pattern to the inside of my cape for a liner. Love the cape, so cute. Cutest DIY ever! I love it, I also love your blog name, does it mean anything special? Thank you Karen:) My blog name doesn't mean anything special except I really love the name Rooney.. so it stuck! Super cute cape! Can't wait to try this!